Now you can get faster print throughput even in a lower print volume environment, laser technology in a smaller footprint and flexible configurations that are easy to use. The world's smallest medical laser imager utilizes advanced technology to maximize reliability without sacrificing performance. 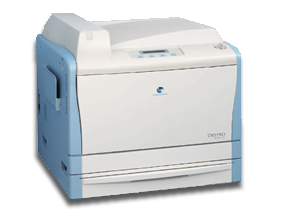 Small yet mighty, the DRYPRO 832 boasts the fastest time to print in the industry at 50 seconds to first print. With a capacity of 90 sheet per hour throughput, this laser imager has enough bandwidth for most imaging environments. Consistently produce sharp, high definition images with the DRYPRO 832. The system boasts semiconductor laser and precision optics that produce 78.6 µm pixel size; a linear heating system that does not heat a drum enhances durability and stability while saving space. With the ability to handle four film sizes, 14"x17", 11"x14", 10"x12", and 8"x10", the DRYPRO 832 is the ideal laser imager for high-quality, efficient imaging. The versatile DRYPRO 832 accepts four film sizes (14"×17", 11"×14", 10"×12", and 8"×10") and by installing an additional, optional supply unit, two trays can be used to offer two film sizes at the same time. An external print server (PrintLink V), included with the imager, efficiently processes and queues DICOM print requests. Additionally, Konica Minolta’s PrintLink III solutions receive images from legacy, non-DICOM modalities (digital or video) and output images via DICOM. And by supporting gigabit network speeds, the system handles multiple images very efficiently to further maximize workflow productivity. The DRYPRO 832 is easy to use, warms up quickly, and is very quiet. Film loading and routine care can be performed simply by the user through easy access panels. A clearly visible status light changes color to indicate “Ready”, “Printing”, and “Film Empty” conditions so you can recognize the system status from a distance. Konica Minolta’s Silver Dry Process films are designed specifically for use with the DRYPRO 832. Halation prevention technology uses new materials for sharper, clearer images with high maximum density and optimized contrast characteristics. A new complex micro emulsion consisting of photosensitive silver halide and photosensitive organic silver achieves ideal dry processing. Konica Minolta’s dry laser films are available in tinted (SD-Q). The film is daylight-packaged and comes 125 sheets per box. At Konica Minolta, your complete satisfaction is our number one goal. From pre-installation through the lifetime of your investment, our professional staff provides the technical expertise you need. Project Management, Applications Training, and Field Services are different teams of Konica Minolta professionals that work together to maintain your continued satisfaction over the lifetime of your investment. Maximize your investment and enhance the economic value of your Konica Minolta laser imager by selecting the right CR Service Agreement for your facility.